Ancient Future is the second collaboration between composer and visionary pianist Ryuichi Sakamoto and electronic pioneer Christopher Willits. Built around a series of piano pieces that Sakamoto sent to Willits after the release of the duo's first record together, 2008's Ocean Fire, the six tracks that make up Ancient Future are entirely instrumental—and yet, they speak about the very essence of what it means to be human. Pioneering guitarist/artist Christopher Willits and legendary pianist/composer Ryuichi Sakamoto have carved a niche as central figures in the experimental electronic music scene. Sakamoto, a Grammy and Academy Award winning composer, and founding member of Yellow Magic Orchestra, has had a storied career since the 1970s. Willits, a generation younger, is forging his own prolific path, creating some of the past decade’s most unique guitar-based music and live audiovisual performances around the world. Their collaborations together are feats of peerless musicianship and sonic invention, being described as “two visionary musicians willing to explore a common creative ground” (The Milk Factory). Ocean Fire, their first album together, emerged from the creative depths in 2008 to critical acclaim. 2012 now brings us the duo’s latest offering, Ancient Future, which cements their strength as masters of tranquil ambience, lush piano chords and beautiful, elongated guitar tones. 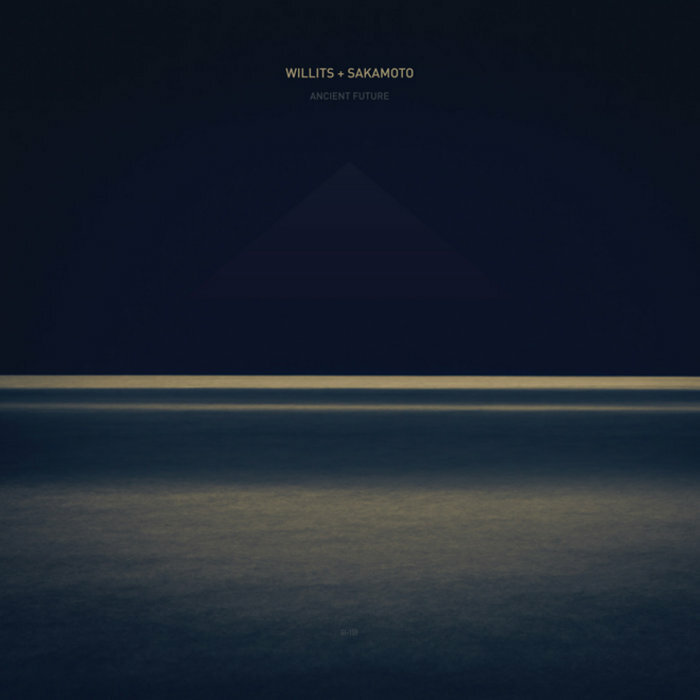 guitarist, composer, producer, photographer, visual artist, and system designer, Willits manifests his creativity into relaxing experiences of overlapping sound and light. Working solo and in collaboration with the likes of Ryuichi Sakamoto and Matmos, Willits, a Mills College graduate with a master’s degree in electronic music, has released 20 plus albums within the last decade, albums of “incredibly intelligent compositions” (Tokafi) that defy genre in the spirit of beauty and experimentation. Ryuichi Sakamoto was born in Tokyo in 1952 and made his debut in 1978 with the album Thousand Knives. Sakamoto’s diverse catalog includes his pioneering electronic works, globally-inspired rock, classical scores including an opera, and being a founding member of electronic music as a part of Yellow Magic Orchestra. His film soundtracks have won many prestigious awards such as an Academy Award for “The Last Emperor,” two Golden Globes, a Grammy and a British Academy Award in addition to the several Japanese awards for his most famous film score, “Merry Christmas Mr. Lawrence”. Sakamoto’s recent releases include collaborations with Alva Noto (on Summvs) and Christian Fennesz (on Flumina).